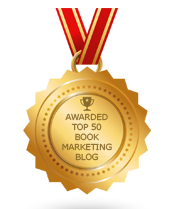 BookMarketingBuzzBlog: Do Authors Have The Right Attitude To Succeed? Do you have the right attitude to be a successful author? There’s no one attitude that fits all, but there are some clear patterns as to the type of attitude that generally succeeds and the one that fails. Which attitude do you embrace? I don’t want to turn this into a psychology circus, but I do believe that writers operating out of a certain frame of mind stand a better chance at achieving their goals than those who have the wrong attitude. · Makes excuses rather than finds a way to compensate for deficits. Attitude is everything – along with your abilities, brains, connections, personality, and experiences. There’s little that limits you from infecting others with an empowering, positive, and forceful attitude. You can smile, have pep in your step, be friendly, offer help, tell a joke, and be supportive of others. You can have a terrific attitude towards life, your book, and others. It’s hard to change one’s attitude, but it’s not impossible. Plenty of inspirational books, motivational seminars, and the support of friends and family can nurture the winning attitude that may already reside within you. But in the end, look no further than yourself to bring out a winning attitude. Does Book Publishing Use A Fixer Like Ray Donovan?